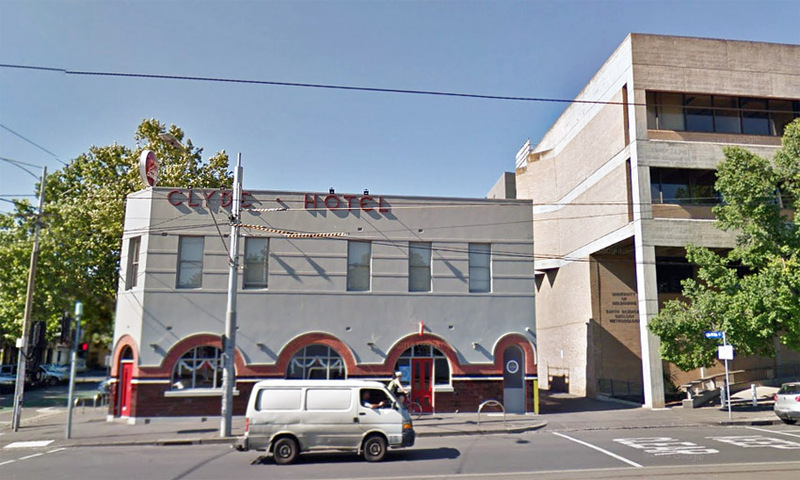 Carlton student pub the Clyde Hotel has gotten itself into a Supreme Court battle with Melbourne University over use of a purpose-built rubbish storage area. In 1975 the University undertook a bid to have the shared laneway, Elgin Place South, between its land and the Clyde Hotel, proclaimed a ‘disused road’ – paving the way for the institution to purchase the space and build its Earth Sciences wing. The pub agreed to back the proposal, and in return the University included a small space, of nine square metres, under a stairwell, for the Clyde to store its bins. Some time back the university wrote to the pub’s owners, Margaret Kearney and Frank Viola, stating that their right to use the storeroom would terminate in June 2015. It was said the agreement on the space was for a “period of 15 years without fee”. In response, the Violas have filed an adverse possession claim, citing use for 44 years, in the context of Victorian laws that state someone who has used land owned by someone else for more than 15 years without consent can claim possession of the property – without compensation. This has prompted the University to seek judgement in the Supreme Court. Court documents outline the claim against adverse possession, suggesting the agreement in place amounted to a lease in the eyes of the law. Melbourne University also seeks to have the pub vacate the area, and submit declaration that it is indeed the proprietor of the property.